Stephanie Luong answers all your dire questions for the start of semester. 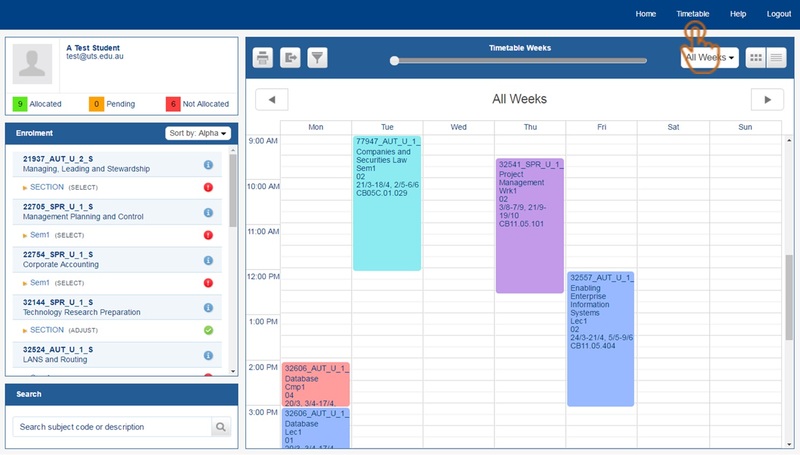 What’s the deal with the confusing timetable planner? Where can you nap your reading worries away? Are there any microwaves? Reminiscing about my first year at university, I’m reminded of that anxiety of where to sit in tutorials, the complete shock of how many readings there were and the subsequent long and chocolate binging nights trying to catch up before assessments. I hope my opening sentence hasn’t deterred you from university because I truly enjoyed my first year! I don’t mean those endless readings, but making the best of university by joining clubs and societies such as UTSoC give you a place to call home and introduce you to a bunch of super lovely people. Welcome to the first semester of 2018! Subjects that are labelled as “Int”, in your case, “Int1” and “Int2”, refer to any introductory activity that your course may have assigned for you in Week One. These introductory activities are designed to help you get to know your course. In these activities, you may go over the subject outline, assessments, required textbooks and any general student questions about the course. If you look ahead to the future weeks of your timetable, the “Int1/2” should disappear, and voilà! You will begin to see different types of activities. But what are these activities you might ask? Activities are how your class will be arranged and taught, and different subjects will have different activity types. For example, you’ll most likely see “Lec” for your lecture and “Tut” for your tutorial. You can refer to your Subject Outline and your timetable planner to see how your course will be delivered. So, don’t stress if you don’t see “Tut”! Maybe you have seminars (“Sem”). The only thing to make sure is that all of your classes for each course are ‘Allocated’ on the UTS Timetable System. You can check that all of your courses are allocated by referring to the legend below your student ID and you should see that there are 0 in the ‘Pending’ and ‘Not Allocated’ keys. Here is a chart of the different types of activities you’ll have, and their corresponding colours. If you’re still having trouble, visit the UTS Student Centre. These are located in Building 10 on Level 2 and Building 5C on Level 1. You could really nap on any couch, study pod or chair you find in any building (I know I do). Rest assured that no one will be judging you for sleeping on campus, in fact, we’re all wishing we could be napping too. However, beware that you may end up featured on the somewhat infamous ‘People sleeping at UTS’ Facebook page (if it’s ever revived). Keeping your sleeping schedule consistent is super important for a happy state of mind, but you can always contact the UTS Counselling Service if you are ever experiencing any difficulties. The Counselling Service is located in Building 1 on Level 6 and further contact details can be found here. Every fortnight on The Comma, I will be making the stress of university life slightly better by answering any questions you have, so send them through to the Google Form! Stephanie Luong is a second year combined Law/Communications (Social and Political Sciences) student and is most likely asleep right now, or at any given moment really.